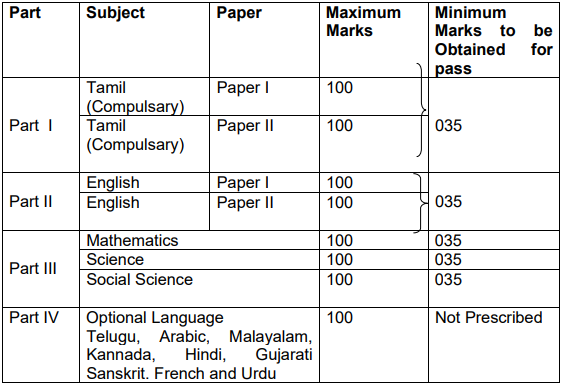 Tamil Nadu SSLC Time Table 2019: TN Board has released the SSLC Public Exam Time Table March 2019. Students can able to download their tn board 10th class/SSLC examination time tables 2019 from official website dge.tn.gov.in. The Directorate of Government Examinations conduct SSLC Public Examination three times in a academic year, as in March/April, Instant Special Supplementary Examinations in June/July and Supplementary Examinations in September/October Sessions. Examination will be conducted by the Directorate of Government Examinations as per Time-Table scheduled by the Director. The Department of Government Examinations is conducting SSLC Examination for the following subjects on the dates fixed by the Director of Government Examination. Duration of each examination is 2 1/2 Hours. The Directorate of Government Examinations have introduced the online system from March 2012 session for the purposes of online application registration for private candidates through service centres and regular candidates by school Headmasters, Retotalling, Downloading of Hall Tickets, Result Releasing and Downloading of Provisional Mark Certificates. Award of Certificate Minimum for a pass: Must secure a minimum of 35 marks out of 100 in each subject. For the “Science subject consisting of theory and practical Examination, minimum mark for a pass is 20 marks out of 75 in Theory and 15 marks out of 25 in Practical. This includes passing under the compartmental system also. All the students are requested to download their SSLC exam time table for March 2019 and start your preparation towards the annual exam. The TN 10th exam dates are clearly displayed in the pdf document which you can download and take print out from official website. Examinations commence at 10.00 a.m. and ends at 12.45 p.m.
Go to the TN Board Official website. 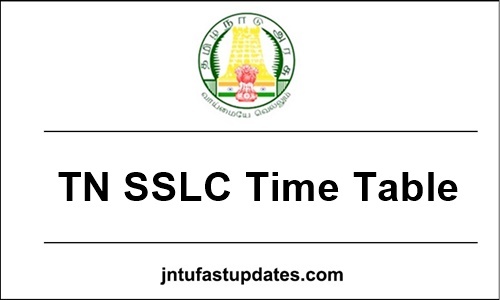 Click on the link for “TN Board SSLC/10th time table 2019“. The Tamilnadu board 10th time table will be opened in pdf format. Save it for the further use in your pc. More students have opted for Class 10 board examinations to be conducted by the Central Board of Secondary Education (CBSE) over school-based examinations. There is an increase of over a lakh in the number of students compared to last year when the difference between school and board exams was over 24,000 more students. Pls give extra 1/2 hr (time) for tamil-2 exam. ALL THE BEST .READ PREVIOUS YEAR Question papers you can score 60% marks . Eat well .Drink well . No tension . I am also 10th std all the best my friends,oh my god please help us! !